Think of some popular businesses out there: What springs to mind first? What you probably picture before anything else when thinking of a well-known, successful company is their visual marketing, such as their logo or signature graphic displayed on a sign. You can take notes from these businesses and use custom posters, banners, and signs to their full advantage when you choose to promote your business or event. People respond to what they see, and so it is important to establish a visual means of marketing to connect with your customers. With help from a professional like Time Printers, you can develop a distinctive color scheme, font style, and overall aesthetic for all of your custom posters, banners, and signs that your customers will readily be able to identify with your business, your product, and your quality service. When it comes to establishing a marketing campaign for your company, you want to be consistent. Time Printers can ensure that any custom designed print marketing you choose, whether it is a custom banner promoting a sale or a custom sign advertising your business, is cohesive. If you have a collection of different kinds of print marketing that all share a look and feel, you can control how your company is perceived by potential customers. Companies with mismatched, low-quality print marketing end up looking disorganized and unappealing; avoid that thrown-together look by hiring a profession to create the custom posters, banners, and signs that will get the word out about your business. Are you looking to use custom printing to advertise a specific event for your business? Check out our blog on advertising for a summer sale for tips. Time Printers can help you create the perfect custom posters, banners, and signs for your business. Time Printers is a full service printing products and services business. We have extensive knowledge of the printing industry and our quality products prove time and time again that we are not just printers, we’re innovators. We can meet all of your event planning needs, including quality, professionally printed items in a variety of colors and sizes. Whether you choose one of our custom templates or have our design team create a beautiful masterpiece, you’ve come to the right place. To learn more about Custom Printing for Marketing, give us a call today at 410.566.3005 or click here. You can also connect with Time Printers on Facebook, Twitter, Google+ and Pinterest as well. Summer is the time for sun, fun, and most importantly, sales! Many businesses opt to hold their big sales in the summer because customers have more free time to shop and explore different storefronts. But the sale in and of itself is not enough to draw in this new, expanded customer base. Get the word out about your summer sale with custom printed advertisements from Time Printers today! There are many options available to you when it comes to advertising your summer sale. If your business is located on a main road or highly-trafficked street, a good choice for you might be a poster or banner. A colorful poster hung in your window with your company’s logo, name, and easy-to-read information about your sale will catch the eyes of passing pedestrians. A banner made from high-quality vinyl could be displayed above your entryway to draw in customers who are driving by. From the road, a vinyl banner is very visible, and it has the added bonus of being durable in various weather conditions. Custom printing is one of the best ways to attract new customers to your summer sale. Are you holding a sale and want to let everybody know about it? Call Time Printers today to talk about your options. While many businesses today do incorporate online ads into their marketing, there’s still nothing that can beat a tangible, quality product in your potential client’s hands. Printed information sticks with us and is much more memorable than an email advertisement that may just end up in your junk or spam mailbox! Successful companies know that investing in custom printing is still one of the best ways to ensure their top performance, and no one does custom printing better than Time Printers. 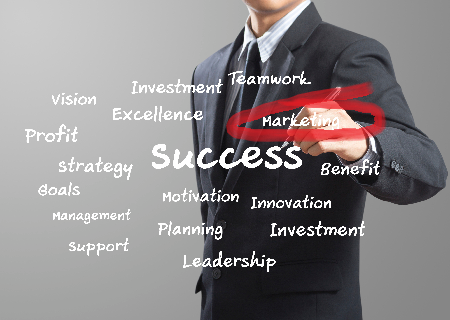 So what kinds of printed marketing should you be incorporating into your business plan? There are countless options to choose from; it all just depends on what kind of information you want to get out there and how much of it you want distributed at once. Smaller custom printed items, such as postcards and flyers, can be ideal if you have a specific sale or event that you want to advertise. They can contain the details pertaining to a single event and make sure that your potential clients are learning exactly what they need to know. Use custom printing to distribute larger amounts of information as well. A brochure or booklet can contain more facts about your company for new customers that want an overview of your products and services. A professionally designed catalog can also do this and provide customers with a chance to see everything you offer from the comfort of their own home. Regularly circulated newsletters are well suited for customer retention; if your customers and clients are constantly aware of the innovations and projects your company has going on, they will be more likely to return to you. Custom printing for marketing purposes can help your business get to the top and stay there. Call on Time Printers expert team of designers and printers today to determine what print marketing strategies will work best for you! Summer is the season of parties. Whether it’s a graduation, a barbeque, or a birthday, you’re going to need some type of invitation. 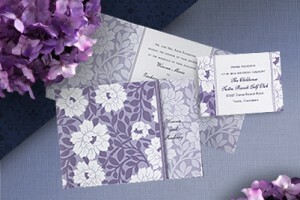 Instead of going to the store and buying premade invitations, why not custom-design yours? There are so many benefits of custom invitations, and with the right custom printing company you’ll be sure to wow your guests. Creativity. Having the ability to custom design and print your invitations allows you to be creative in the process. You can choose color, font, type of paper, and most importantly, what the invitation says. Having a meaningful celebration should be preceded by a meaningful invitation. Through your creativity and customization, guests will be able to see just how important the celebration is to you, and will even be able to save the custom invitation as a keepsake. Just think about wedding invitations – those are kept for decades. Wouldn’t you want the same for your son or daughter’s graduation? It’s a time-saver. Filing out each date, time, place, etc. on each pre-printed invitation can be a huge hassle, especially when you have so much more to do to prepare for the party. By designing an invitation, your printing company does all that work for you! All you have to do is design, upload to the printer’s website, and they will have it taken care of. That way, you can continue with your party planning. Price. The cost of mass-producing a store bought invitation and printing custom design invitations is relatively the same. 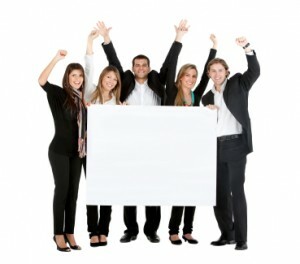 So, you’ll be able to have your perfect invite for the party at the same cost that just a sub-par invitation would be. So before you run to the store and pick out invitations, consider custom printing. There’s no doubt about it that your custom invitations will be a hit! Time Printers is a full service printing products and services business. We have extensive knowledge of the printing industry and our quality products prove time and time again that we are not just printers, we’re innovators. We can meet all of your event planning needs, including quality, professionally printed invitations in a variety of colors and sizes. Whether you choose one of our custom templates or have our design team create a beautiful masterpiece, you’ve come to the right place. To learn more about Custom Printed Invitations, give us a call today at 410.566.3005 or click here. You can also connect with Time Printers on Facebook, Twitter, Google+ and Pinterest as well.